I once drowned a spider in the bath. Earlier in the day, my mother had stuck a post-it note on the edge of the tub that summed up the situation. It read: ‘Eek! Spider!’. I duly noted that there was indeed a large black wolf spider crouching defensively in the bath tub, miserable and uncertain. And then some time later, I forgot it was there (the post-it having been removed contemptuously by another family member, or maybe it just fell off under the weight of its own portentousness) and I put the plug in and ran a lovely hot bath and read Time for a bit while it ran. It wasn’t until I had removed all my clothes that I noticed the spider, now very dead, floating dreamily round the bath like a sad black glove. My immediate thought was to let all the water and assorted bits of arachnid out and never bathe again, but I think it is a sign that I was more mature than my fifteen years that instead I put on a dressing gown, went downstairs, got a jug and decanted the dead spider. The hot water had caused its exoskeleton to soften and break up, so it took several attempts to make sure I had managed to pour every last knee and mandible out of the window. Then I got into my spider-soup-bath and pretended it hadn’t happened and had a wash. And then, even later, I got the heebie-jeebies. I am interested here in two apparently unrelated topics, joined together by this story: spiders (some dead, some alive) and the art of letter-writing (dead). 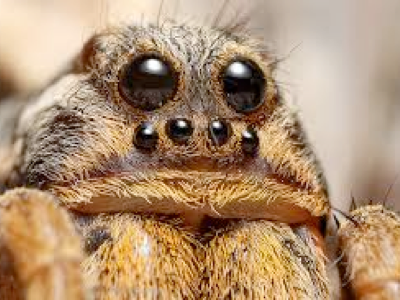 Let’s take the spiders first, and let’s assume that the human dislike of spiders stems from three things: cobwebs are unpleasantly sticky to the touch; spiders have a disconcerting way of scuttling about; and some spiders bite, sometimes painfully and other times fatally. The first and second ideas of the general yuckiness of getting a web in the face and the creepy way that spiders move can be seen in literature (The Hobbit, and of course Shelob later on in Lord of the Rings), terrible films (Arachnophobia, Starship Troopers) and multiple science fiction offerings, in which the most unsettling aliens and/or alien ships are inevitably slightly spidery (Babylon 5, Starship Troopers again). The third idea relating to bites is a little harder to verify when one lives in the British Isles, but happily (for the purposes of today’s post) I got bitten by a spider in Nanjing Park a few years ago and can speak with some authority here. The bite resulted in my feeling as if I was going to faint for about half an hour, followed by a hard, painful blister the size and colour of an egg yolk, followed by a permanent scar. Here is a jolly fact that I learnt from this experience: you don’t always feel the little bugger running over your ankle and you certainly don’t always feel it bite. Compare this to the morning when, while sleeping on the living room floor of some relatives, I was woken at 6am by a spider running over my arm (in defence of my girlish scream, I thought it was a rat). I recall ceasing to keep a diary (several years before anything of real importance had happened to me) on the grounds that: i. when lots of interesting things were going on, I didn’t have time to record them; and ii. I wrote a huge number of letters, in which I let my various correspondents know much of what I had been up to and what I thought about it, and it seemed beyond tedious to describe the same events for my own benefit. Having not kept a diary for fifteen years or more, I also can’t remember the last time I wrote a proper letter. <insert your own sentence re. how much the world has changed and not for the better, young people today etc.> Email and the mobile ’phone seem to have killed, finally and truly, an art that I flatter myself I was rather good at. The most striking thing about the spider-in-the-bath story to me now is that my mother thought a post-it note an appropriate response to the domestic crisis that a spider in the bath constitutes (why didn’t she simply remove the spider and say no more about it?). And yet I also like the idea of notes appearing around the house, from one family member to another (possibly in imitation of William Carlos Williams and his well-rehearsed fruit-based verse, possibly not), drawing attention to various small emergencies or points of interest. This has a wistfulness to it that I don’t think any other form of communication can match. Another thing I discovered while researching spiders bites was the Brazilian wandering spider, one of the most poisonous spiders in the world. In addition to being very painful, the bite also causes severe priapism for several hours. This is so extreme that it can lead to heart attack, loss of blood to (other, more) vital organs and, if left untreated, death within a couple of hours. It does, however, have the advantage that this particular symptom is unique to the bite of the Brazilian wandering spider (interesting in itself as the spider is very similar in appearance to a bunch of other much less venomous species of spiders, making studying the thing excitingly uncertain). Therefore, provided the patient isn’t too humiliated to draw the afflicted part to the attention of his doctor, it allows medical professionals to make an accurate diagnosis and therefore start the appropriate treatment swiftly. Picture by DJS, 20120922 just before beginning a hash outside Qingdao. Insect image diameter about 6cm.